For the first time in years, Howard Gordon has some time on his hands. Last month, the 49-year-old writer sat down with his family in Los Angeles to watch the very last episode of 24, the television drama he helped mould into one of America’s most successful exports. Kiefer Sutherland’s rugged, all-American hero Jack Bauer helped the show surpass both Mission Impossible and The Avengers as the longest spy-themed TV show, picking up 18 Emmys along the way and beaming into the homes of millions of viewers around the world. Now Gordon hopes to weave the same sort of magic with a subtler take on America’s so-called “war on terror” with a new TV series based on a popular Israeli drama about prisoners of war. Gordon is currently working on the script with Alex Gansa, an old friend who studied with him at Princeton and began his writing career on The X-Files. 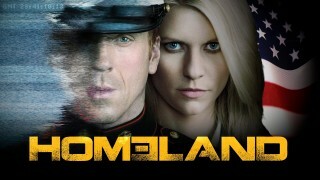 The show has a working title of “Homeland” and has yet to have a full pilot commissioned. Fox (which made 24) has, however, provided Gordon with the finance to buy up the rights to Hahatufim. It was under Gordon’s leadership that 24 became the ultimate adrenaline shot for the post 9/11 generation and an alternate reality for a country terrified by the spectre of international terrorism. 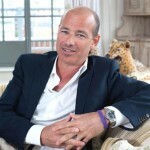 The series ran to eight seasons, with the final episode airing in the UK earlier this month. There are rumours of a film in the offing, but otherwise Jack Bauer will not be appearing on our screens again. Bauer burst on to US screens two months after the al-Qa’ida’s attacks and for eight years served as America’s ultimate fantasy response to global terrorism – an impeccably loyal hero who would stop at nothing to defend his country, even if “nothing” means copious amounts of torture. Gordon’s new project will tackle similar themes as 24 but will, he hopes, be a more nuanced product. He is keen to keep the war-on-terror theme, but combine it with a less frantic pace into something that might sit comfortably between 24 and more novelistic dramas such as HBO’s The Wire. It was exactly those issues which made 24 such a runaway success but also contributed to its eventual shelving. 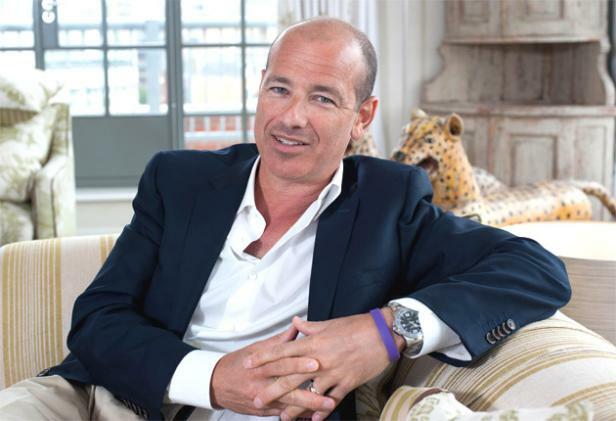 Critics of the show – particularly on the American left – accused it of being an apology for the sort of gung-ho foreign policy that was adopted by the Bush administration. Gordon – a self-described “left-leaning centrist” – has voiced his frustration at the politicisation of his show, which was, after all, meant to be an entertaining rip-roarer for an insecure nation struggling to understand terrorism. But the criticism hasn’t put him off tackling the same subject matter. And, in the meantime, there is also his book, The Obelisk, which seems to be almost as prophetic in its timing as 24 was. “It’s an airport thriller set on a deep-sea oil rig,” he said. Does the rig blow up? “It might,” he adds, breaking into a wide smile. I am not by far neither a great fan or a movie critic but your new serial HOMELAND has to be extremely good to surpass the way that ( 24) made most of Americas TV watchers feel. Good luck and I will be tunning in your new serial. I am ecstatic that you wish to give us something better than nothing to replace 24. 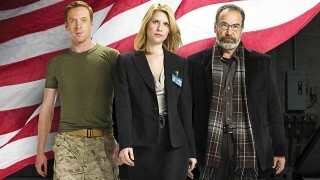 Although I am a tad less than thrilled that Homeland is going to be slower. “Frantic pace” is precisely the reason some of us adrenaline junkies are hooked on 24! But I guess we’ll settle for the thrill of top-notch espionage, complete with state of the art gadgets – a la James Bond? I hope yr new series has also a bit of romance. And a similar Chloe type. Bauer’s relationship intrigues were excruciatingly bitter sweet. I’m not American, but I thought 24 was excellent therapy: Great antidote to the terrorist scare. It presents worse case scenario in a manner that fortifies one against fear. Sort of like an immunization vaccine. In Liberia, 24 absolutely rocks! ‘Holding my breath for Homeland! Thank you! Screw you HoGo! Screw you!